Discouragement is a normal emotion when we’ve experienced some sort of loss, or when we are waiting on God to do something in our lives. It may be that we are waiting on God to find our mate, begin a family, provide a job, cure our illness, or help us achieve our dreams. Yet, when we have unaccomplished goals or unfulfilled dreams due to circumstances beyond our control, we also can feel disappointed with God for allowing these events to take place in our lives. Worse yet, our disappointment grows while we are waiting for God to fix it. Waiting is the hard part. It’s living in the unknown that we don’t like. We wonder, “What is God up to? When is He going to do something? Does He hear my cries?” I can answer with a confident, “yes!” God knows your pain, He hears your cry, and He is at work on your behalf whether you see Him at work or not. I have learned that while we are “in the wait,” peace comes by trusting God. To help increase my faith, I often pray what God has promised me in His Word. 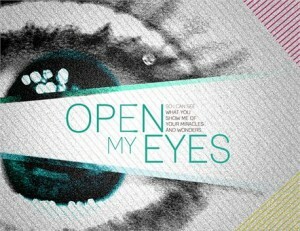 Then, I ask God, like Elisha the prophet, to open my eyes so that I can see what I have professed with my mouth. God did that for Elisha and his friend, and He’ll do it for you and me, too. It happened like this. King Aram was at war with Israel. During this time, the prophet Elisha, and another man of God, would spy on King Aram and then report his strategy to the King of Israel. When King Aram found out Elisha was the one blowing his cover to Israel, he sent horsemen and chariots by night to surrounded Elisha’s camp and capture him. 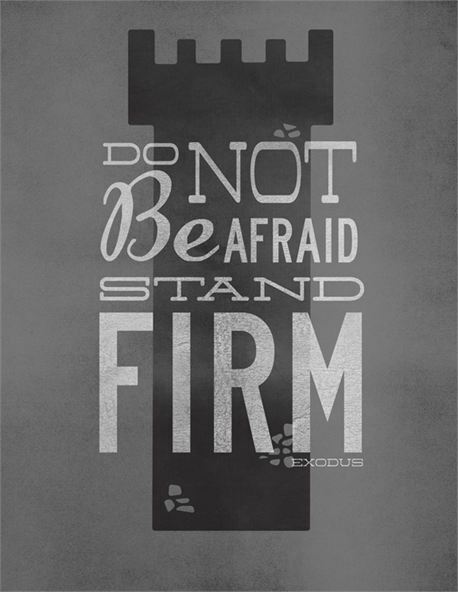 When Elisha and the man of God awoke and saw that they were encircled by the enemy, the man of God cried out in terror, “What shall we do?” Elisha said to him, “Do not be afraid. For those who are with us are more than them.” Then Elisha called to the Lord, “Open his eyes so that he may see.” Suddenly, the man of God saw chariots of fire from God all around. What do you think that did to his fear to know that God was fighting the battle for them? 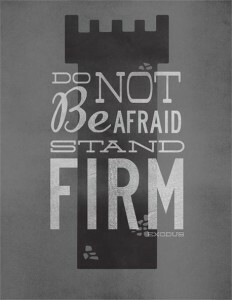 Do chariots marked with doubt, fear, worry, and discouragements have you surrounded? Do you fear they will conquer you? Are you crying out like Elisha’s friend, “What am I going to do?” Instead of asking God, “What are You going to do?” God is greater than your depression and anxieties. Perhaps it’s time to ask God to open your eyes so that you can see His power and love working together to fight your battle. Seeing the truth will help in over come your discouragement and worry while you’re waiting for God to claim your victory.